Fairfax Entry Handle Set in Polished Brass The Elements Series<sup></sup> provides an expanded choice in Fashion Doorware at an affordable price. In decorating your home, choosing the right paint, wallpaper, tile and trim is important in creating a personal design. The Elements Series of Fashion Doorware will support and enhance your decorating decisions. Simple, elegant, and clean, the Fairfax knobs fits snug in the palm of your hand This Combo pack provides two locking points- keyed entry and a deadbolt. The Polished Brass finish adds to the traditional look and feel of the product and makes a classic statement. 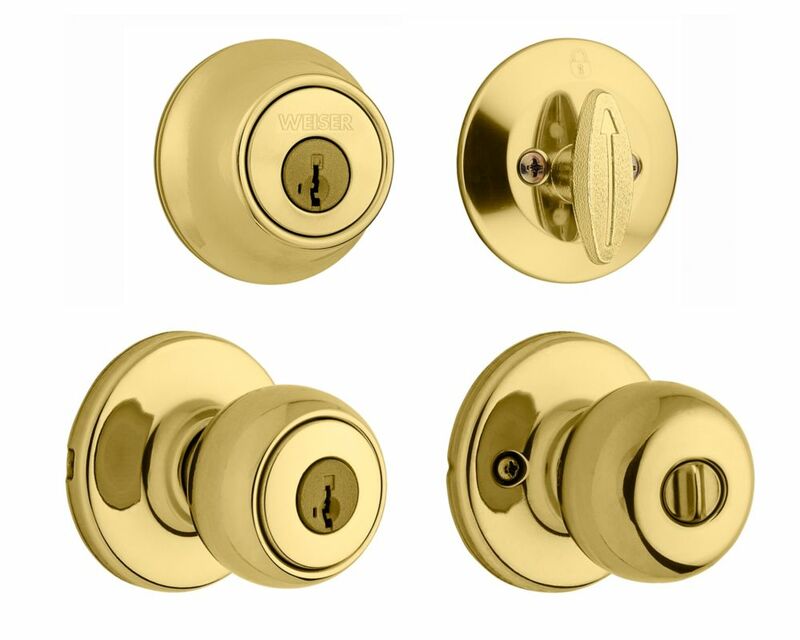 Fairfax Entry Handle Set in Polished Brass is rated 3.0 out of 5 by 1. Rated 3 out of 5 by Purchaser from Good value I bought 2 sets of these to replace locks on three doors. One of the sets was split up to use on two different doors. Buying the sets works out to be way more economical, and we use the SmartKey feature so now we only need to carry one key. One of the sets had mis-packed one of the parts and we had to call Weiser for replacement. The locks seem to work fine, but one of the knobs does not turn as smoothly as I'd like.